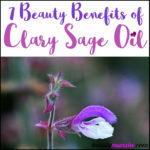 9 Essential Benefits of Hyssop Oil for Skin & Hair - beautymunsta - free natural beauty hacks and more! Hyssop oil is one of the less known beauty oils, but it is so amazing! In this article, get to know 9 beauty benefits of hyssop oil and why you should include it in your beauty routine! An herb found in the Middle East and southern parts of Europe, hyssop is a perennial plant that belongs to the same family as basil, lavender, mint, oregano, and rosemary. In ancient times, hyssop was used to treat respiratory problems. Ancient Romans also used it as an aphrodisiac. Today, it is still used to clear congestion and cough. Aromatherapists also use it in massage to create calmness and peace of mind. Before use, do a patch test on your inner elbow/wrist to see that hyssop oil does not irritate your skin. Store hyssop oil in the refrigerator to prolong its shelf life. Do not use if you have epilepsy or suffer from seizures. Consult your doctor before using hyssop oil especially if you have a chronic or severe health problem. Hyssop is an essential oil, meaning it is very concentrated. 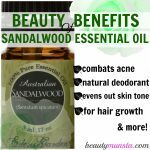 Before using it, please dilute it in a lotion or a carrier oil such as jojoba or sweet almond. For every tsp of carrier oil, add 2 drops of hyssop oil as the standard dilution rate for adults. Avoid using hyssop oil on children. Hyssop is best known in the beauty world for cleansing skin. It actually has a natural cleansing action that purifies the skin of dirt, grime and excess oils. You can add 2-3 drops of hyssop oil into your facial cleanser to fortify its skin cleansing properties. 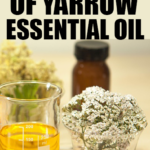 There are actually a few essential oils that are gentle enough to be used on sensitive skin that is easily irritated. Hyssop oil is one of them. It is safe and suitable for sensitive skin types, alone with lavender, rose, chamomile and frankincense essential oil. 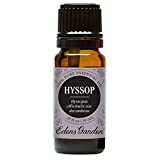 Instead of using strong essential oils that can aggravate your skin such as peppermint, orange, etc, try a few precious drops of diluted hyssop oil. Hyssop oil has astringent properties. This means it can tighten skin, which reduces the appearance of large pores. You can make a face spray by combining 3 drops of hyssop oil in ½ cup of water together with 1 tsp of alcohol-free witch hazel. Store in a face spray bottle and spritz on your clean dry face to help with a pore-shrinking effect. Got oily skin? Hyssop can help! Once again, the astringent properties is what makes hyssop ready to minimize excess oiliness. It helps shrink large pores which secrete too much oil, hence preventing your skin from looking greasy and shiny. 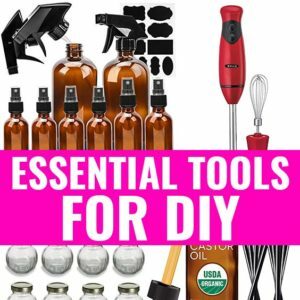 A hyssop face spray or toner would be wonderful for managing oily skin types. Hyssop is also good for creating a soft and smooth skin complexion. It has a regulating effect on the skin, which helps even out your skin tone, as well as keeping it not too oily and not too dry – but just the perfect balance of the two. 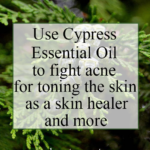 While facial steaming, add 2 drops of hyssop oil to help soften up and smoothen rough skin texture. The antiseptic properties in hyssop oil make it brilliant for fighting skin infections. It can prevent wounds from becoming infected when applied to them. Hyssop oil also helps wounds, cuts and bruises heal faster without scarring. Hyssop is great for skin problems that cause scarring such as burns, insect bites, rashes and chicken pox. This is because of its cicatrisant properties. If you have a wound, using hyssop oil can help it heal without scars. If you already have a scar, use hyssop oil to reduce its appearance faster. Mix 3 drops of hyssop oil in 1 tsp of jojoba oil and then apply it to your scars 2 times a day. As we saw above, hyssop oil is safe for sensitive skin plus it helps fight infection and heal wounds. 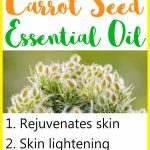 This makes it a good essential oil for soothing and treating inflammatory skin condition such as rashes, eczema, psoriasis and so on. You can mix a few drops of hyssop oil into your lotion and apply onto the affected areas. Hyssop was always considered to be a purifying herb which was burned in sacred places to cleanse them of negative energies. This same concept also works when it comes to your skin! Using hyssop in your skin care will make sure your skin feels alert, fresh and clean naturally! It’s the perfect wake-up ingredient for perky skin! 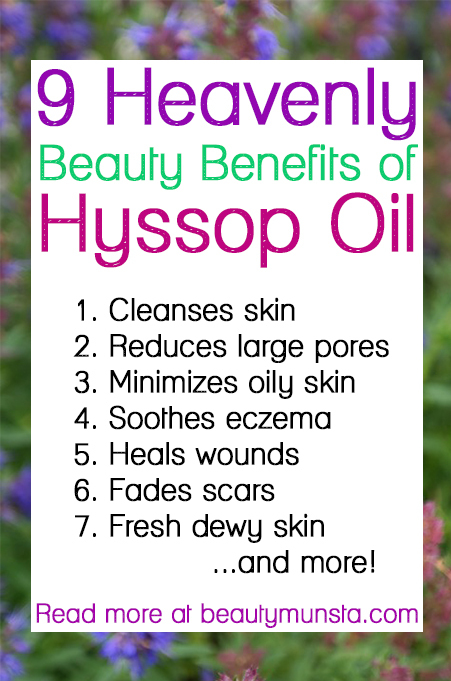 Those are some of the exquisite beauty benefits of hyssop oil! Are you interested in trying it out? Let me know in the comments below!